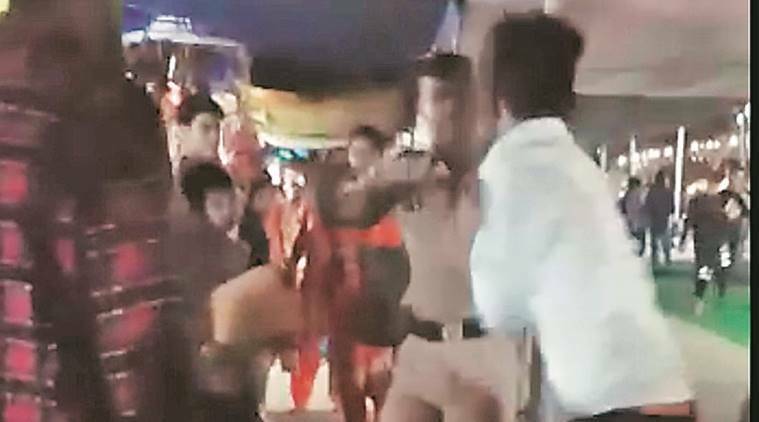 The Panchkula police on Saturday identified the special police officer (SPO) Ranjeet Singh following a viral video which showed he was being thrashed by three angry men accusing him of stalking and molesting a woman near Mata Mansa Devi shrine. The video is two-day old and reached senior police officers through different channels. SPO Ranjeet Singh is a retired Army personnel, who joined Haryana Police a year and a half ago. He is attached with the Panchkula police. A DDR was lodged at Mansa Devi police station. Nine-day-long Chaitra Navratra fair at Mansa Devi Shrine started from April 6. It will continue till April 14.